Boston covers a land area of approximately 49 square miles. There are just over 600,000 Bostonians. People from Boston speak English. Their accent is easily distinguishable from those in the rest of America. That would be the American Dollar. 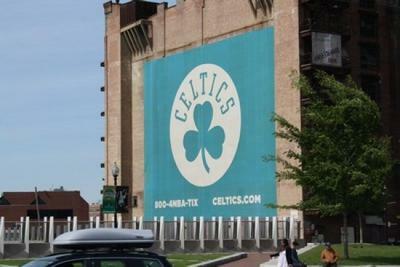 What is Boston’s number one attraction? According to Boston Business Journal's 2005 Book of Lists, Faneuil Hall Marketplace was Boston's most popular attraction in 2003 in terms of number of visitors. Encorporating three markets, the best-known being Quincy Market, there is always something going on here. While that is officially Boston's number-one attraction, just as well-known and popular is the Freedom Trail. 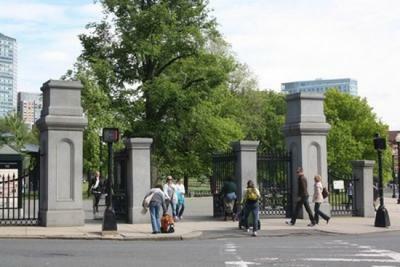 Beginning in Boston Common, it is a 2.5-mile path that leads to 16 of America’s most significant historical landmarks. 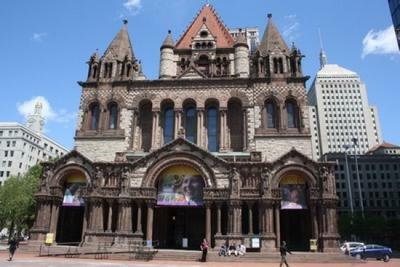 Some of these include Massachusetts State House, Park Street Church and Faneuil Hall. No visit to Boston is complete without doing it. Are there any other attractions that shouldn’t be missed? Where do I start?! If it’s a clear day, you’ll hardly find as nice a public park anywhere in the world as the aforementioned Boston Common, America’s oldest public park. 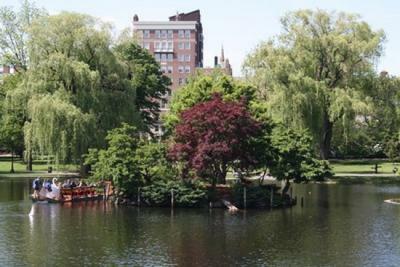 It’s beside Boston’s Public Garden, which has a lagoon. Both parks boast breathtaking views of downtown Boston’s skyline. For unforgettable views over the city, go to 'Skywalk' at the Prudential Tower. If heights aren’t your thing but you’re still adamant on seeing a large part of the city in a short space of time, get yourself on to a Boston Duck Tour (their ticket centre is also in the Prudential Tower). Their tours are light-hearted yet informative and definitely one of the best ways to see the city. They also go down the Charles River. Across the Charles River is Cambridge, best-known as the home of America’s oldest university - Harvard. A short trip from the city centre on Boston’s efficient 'T' (subway), you can stroll through the grounds and effortlessly imagine what it would be like to be a student here. The area around Harvard is full of cool shops and cafés, making it one of the more pleasant places to spend an afternoon in the city. The Harvard Museum of Natural History is worth visiting as well. On average, how much does it cost to get into Boston’ top attractions? Admission prices can vary quite a bit. 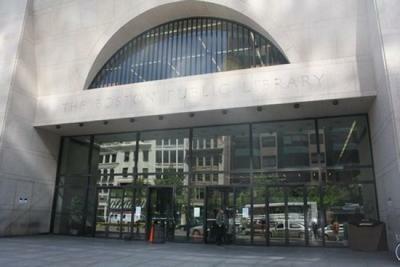 Most museums have admission charges of between $5 and $8. Other attractions can be more expensive than that. Boston fames itself as ‘America’s Walking City’. It’s nowhere near as big as many of America’s other cities and is also quite flat, making it perfect for walking around. Within five minutes' stroll of the city’s Public Garden you’ll find yourself in the leafy districts of Back Bay and Beacon Hill, while five minutes from the south end of Boston Common you can get to Boston Harbor. Explore as much of the city on foot as you can. Is it expensive to go out in Boston? Due to the number of students living in Boston, there are many 'student nights', most of which take place in Cambridge's bars north of the river. South of the river in downtown Boston, prices aren't as reasonable. There are bars all over the city. 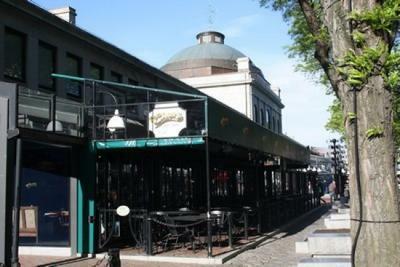 Some parts of town where you’ll find more establishments than others include the area around Fanueil Hall, Landsdowne Street (over by Fenway Park) and around Cambridge. Any particular bars / clubs worth singling out? Boston is laced with Irish bars, most of which resemble each other. The Black Rose (160 State St.) near Faneuil Hall is one that stands out from the rest; they have live bands playing music on most nights. 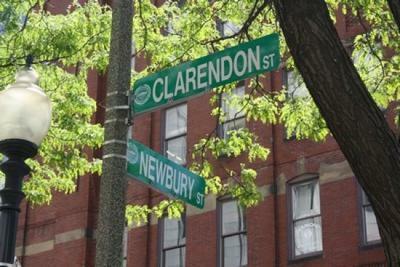 In Cambridge, Grafton Street (1274 Mass Ave) and The Cellar (991 Mass Ave) are both popular. Along Lansdowne Street, Avalon (15 Lansdowne St.) and Axis (13 Lansdowne St.) are two of Boston’s most popular clubs. Is there anything to do that doesn’t involve alcohol? Quite a lot. Bostonians are sports fanatics so you can go to see the Boston Red Sox play baseball at Fenway Park (4 Yawkey Way; season April-September) or the Boston Celtics play basketball at the Fleet Center (150 Causeway St; season from October-April). If you’re a film buff you can pick popcorn from your teeth at the cinema at Loews Boston Common (corner of Tremont and Avery Streets). There are also a handful of comedy clubs, the best known being Comedy Connection at Faneuil Hall. Is it expensive to eat out in Boston? As this is America we’re talking about here, there are fast-food outlets on basically every corner so you can always refuel without breaking the bank. There are also many cafés and restaurants where you’ll find something for under $10. Charles Street in Beacon Hill has some great cafés perfect for breakfast or lunch. As you’d expect, Chinatown is where you’ll find the best selection of Asian restaurants; it’s also the best part of town to eat in after dark, with many restaurants remaining open until 2am. 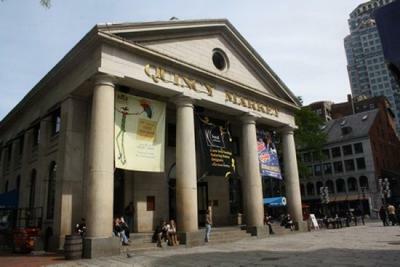 Probably Boston’s best-known place to feast is Quincy Market Colonnade, one of the most-visited food halls in the world. Here you can treat your taste buds to New England specialities, seafood, pizza, falafel and more. Yes. In Boston you can get anything from Asian to Mexican and everything in between. Bostonians are very fond of seafood and almost every restaurant will sell chowder. Don’t leave without trying it at least once. Also, if you like pretzels or roasted chestnuts you’re in for a treat – there are stands dishing them out all over the city. 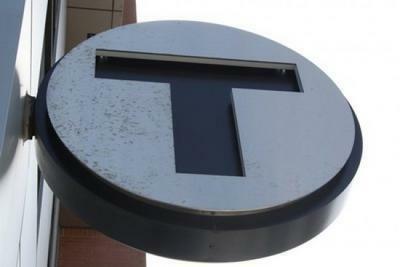 How many different modes of public transport are there in Boston? Three – subway (known as the ‘T’), bus and taxi. You can buy ‘visitor passes’ which are valid for unlimited travel on the subway, local buses and the inner-harbour ferry. It also allows travel within commuter rail zone 1A. A one-day pass costs $11 and a seven-day pass is $18. Otherwise a single journey on the 'T' is $2.50 and a single journey on the bus in the city centre costs $2. Here are our suggestions of five free things to do in Boston so you can enjoy this great city while sticking to your budget. One thing that you will notice about Boston is that it is a scenic city. This is particularly apparent when you find yourself in one of Boston’s many open green spaces. 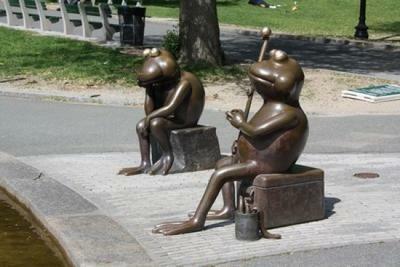 The two that are most popular and in the city centre are the Public Garden and Boston Common. 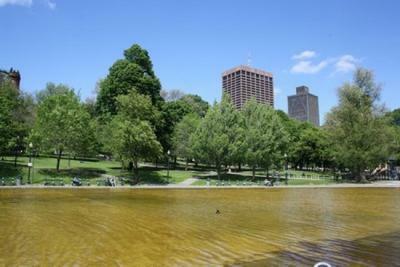 Boston Public Garden is a beautiful large green space with a lake, walkways and many structured plantings. You can go on to the lake in one of the themed boats or just sit by the water side and take in the views. There are also some monuments and statues in the Public Garden such as the George Washington monument. Next to the Public Garden you will find Boston Common. This is another large open space in the city centre. 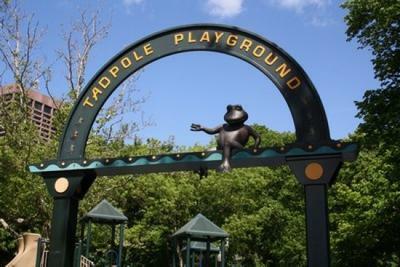 Boston Common is mainly just large green spaces and walkways, but you will also find the tadpole pond and playground in here too. 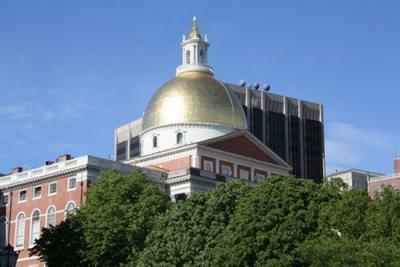 You can also get some great views of the New State House and visit the Boston Common Visitors Centre for information about the Freedom Trail. Boston Common is the perfect place to be on a nice day in the city. No trip to Boston is complete without taking a walk through the narrow cobbled streets of the historical Beacon Hill. 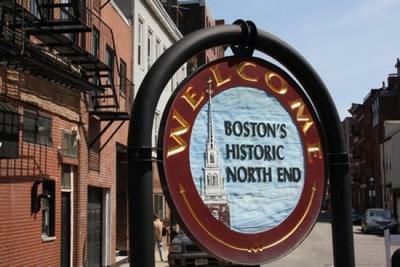 This neighbourhood is steeped in history and is one the most desirable but expensive areas to live in Boston today. Along the streets of Beacon Hill you will find many restaurants and interesting shops. The neighbourhood is made up of red brick buildings and it has held on to its quaint and tranquil setting. 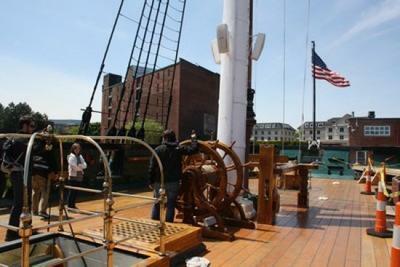 Boston prides itself on its past and you will see a part of this historical pride in the navy shipyard in Charlestown. A great free thing to do in Boston is to take a free tour of the USS Constitution. This wooden hulled ship belonging to the United States Navy is the world’s oldest floating commissioned naval vessel. Nicknamed ‘Old ironsides’ this ship is steeped in history and you can take a free tour of the USS Constitution and see it in its restored glory. You can also check out the Visitors Centre for more on the history of the ship. 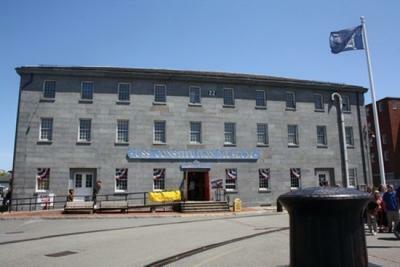 Across from the USS Constitution you will find another great free accompaniment to the ship – The USS Constitution Museum. This museum brings the story of the Old Ironsides to life as it showcases items from the ship as well as replicas, and gives a detailed history of the life of the USS Constitution. It also provides an interactive experience allowing you to gain an insight into what life was like on the ship. 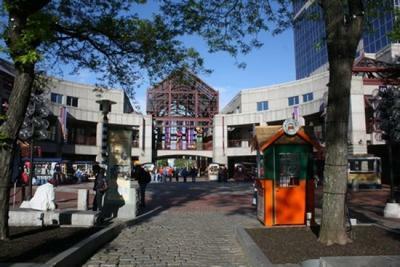 The area around Faneuil Hall and Quincy Market is a popular location for tourists and locals. Here you will find some great shops, bars and restaurants as well as many market stalls and street performers. Faneuil Hall Marketplace has long been an important part of the city of Boston and is made up of Faneuil Hall, Quincy Market, and the North and South Markets. If you walk through Faneuil Hall, down through the marketplace to the other side and cross over you will come to the historic north end of Boston city. Here you will come to the North End Waterfront where you will also find Christopher Columbus Park. 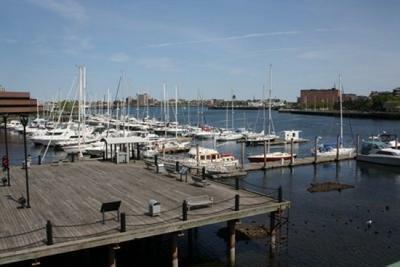 This is a great area to sit out in on a sunny day in Boston and offers some lovely views. 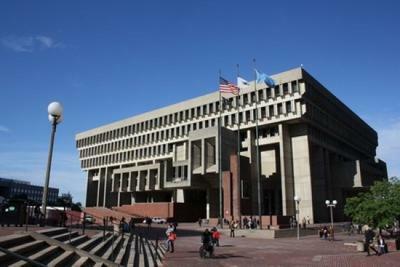 Most of Boston’s historic sites can be found along one route that’s over 2 and a half miles long. The Freedom Trail will bring you on a walking tour of many Boston attractions including some of the ones already mentioned here. 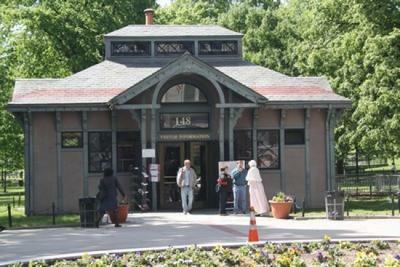 You can start the Freedom Trail anywhere along the route but the best place to begin is probably at the Visitor Centre at Boston Common where you can get all the information you need for the route and you can even get a guided tour if needed. Throughout the city you will see many signs pointing you towards sights of the Freedom Trail. Another good means of finding your way is to follow the red line marked on the footpaths. 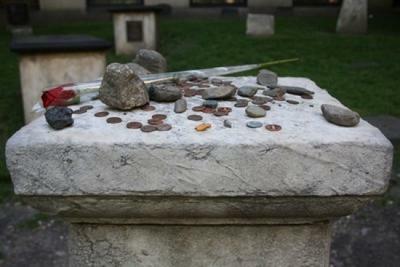 The Freedom Trail will lead you to many sites such as Park Street Church, Granary Burying Ground and Bunker Hill to name but a few. Anne Grimes Rand, President of the USS Constitution Museum talks to Tracy Lynch about the historical ship and popular museum. For our City Focus this week we look at Boston. This popular Massachusetts city welcomes visitors from all over the world and after one visit here you will understand why. 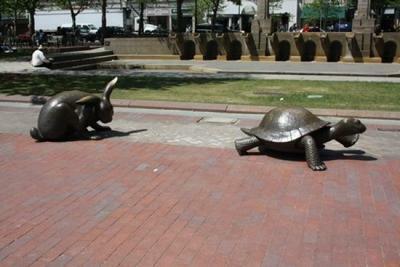 Boston, Massachusetts is adored by all who visit its historic shores. There’s something about this quaint city where the city centre resembles more of a charming English village than a leading US metropolis. Where in the world would you be if you were looking at this? Boston - the historical city with lots of walking! One of my favourite things about Boston is that you can walk everywhere! All of the major sights and popular attractions are in close walking distance of each other. The next stage of my trip brought me on a flight that was less than an hour from New York to Boston! If you're looking for something to do or to celebrate this April then take your pick of these April events!